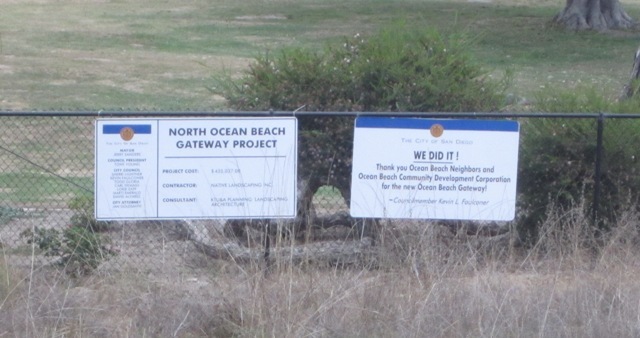 There’s good news for the OB Gateway Project – and it’s just in time, for the weeds at the site have taken over. The site’s Phase Two has been announced by city officials but no date set. 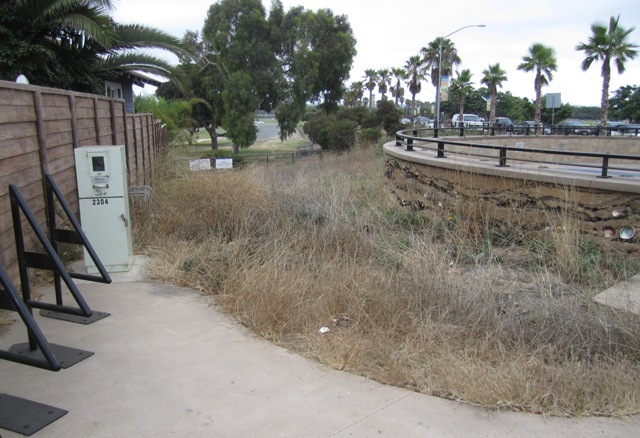 The entryway at the intersection of West Point Loma and Sunset Cliffs Boulevard – its first phase completed months ago – has become an eye sore for those traveling into and out of our fair village. 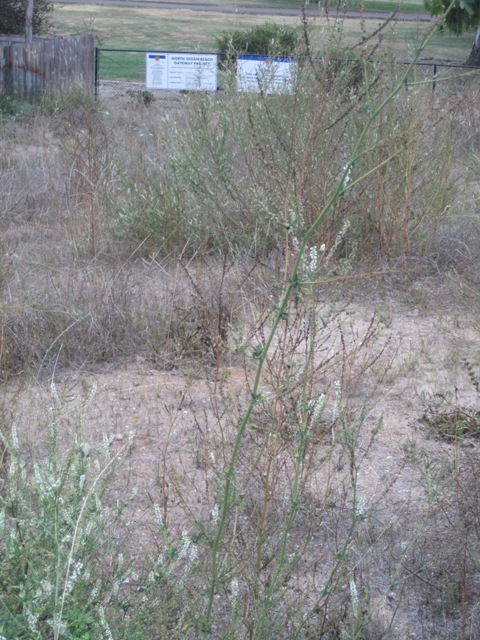 Weeds as high as a person dominate the site. 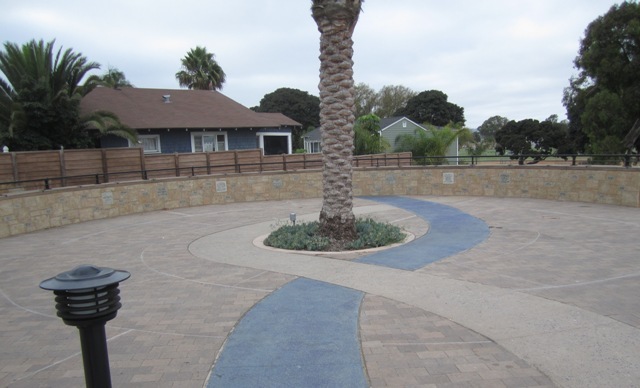 Phase Two – delayed due to lack of funding, is now back in gear, as the City of San Diego has now released additional funds which will make the gateway area more accessible to people – you know the joggers, walkers, and bicyclists who cruise our area. There will be – when completed – a user-friendly walkway ADA compliant, some improvements to the intersection and enhanced crosswalks. The site has been beset with problems since its inception. First, it seemed like an eternity for Phase One to be begun and finished. 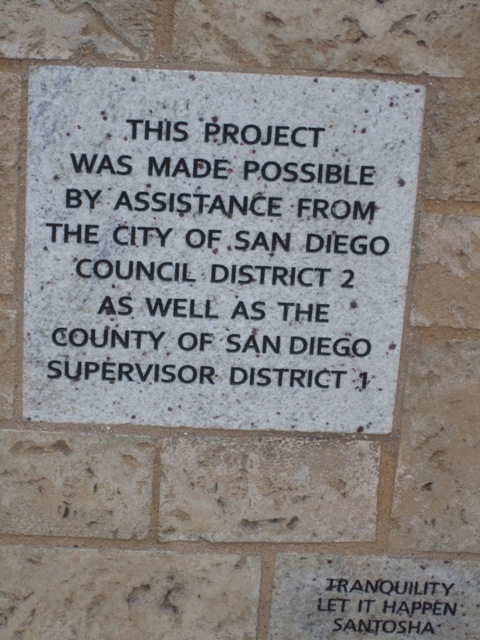 Unfortunately, the project was scheduled to be constructed in the middle of the recession. 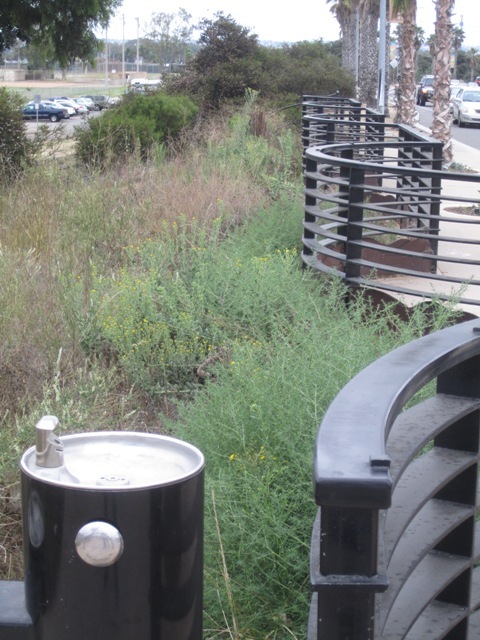 Once completed, complaints began filtering in – no benches, no access to Robb Field, no apparent responsible party for maintenance. Then there were reports that certain sub-contractors didn’t get paid. These issues have not been entirely resolved. And for the last umpteen months, weeds have taken over the site, making it an unpleasant place. A disappointment in my opinion. Not a bench? Why? The bike path should have been built first…better yet should have just remodeled the pizza place for the all money it cost the taxpayers. I don’t believe this entryway looks like what was presented or what OB wanted. Weed in OB really……..Oh wait I mis-read its about the Gateway…I saw we get our wee eaters and whack them ourselves….a few weed wackers some shovels and its done ….. The headline thrue me for a lewp. I realize that you’re an OB publication, but unless you are referencing some little known German 420 uber grower, I think that it’s “strewn” that you are implying about the weed conditions at the Gateway.